Osteopathy focuses on how well the body is able to function mechanically; whether there is a healthy function between the muscles, bones and soft tissues that allow the body to function correctly and without pain. 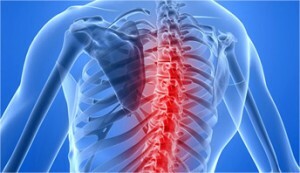 An Osteopath will look to identify what has caused the problem to happen and then through the use of manual therapy, gentle physical manipulation, exercise and self-care advice will help to improve the quality of the bodies function and structure to not only ease the current symptoms, but also to prevent them from re-occurring. Osteopathic treatment is a form of manual therapy with hands on treatment that is individually built around the patients needs at that time. It could involve many different techniques or treatment methods and is safe for people of all ages and lifestyles, from newborn babies to the elderly and from those doing desk-based jobs to the elite athlete. 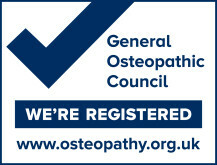 All osteopaths have needed to be registered with the General Osteopathic Council since 1993 when the Osteopaths Act was passed in government. 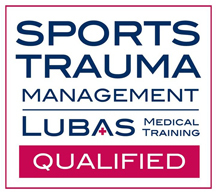 As such they are required to maintain a high level of continual professional development in order to keep their qualifications current and up to date.